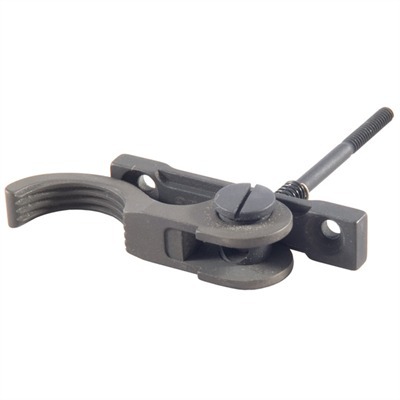 The GG&G Accucam Aimpoint Cantilever Mount provides excellent repeatability in mounting an Aimpoint CompM2, CompML2, CompM3, CompML, C3 or 9000 series red dot sight on any MIL-STD 1913 Picatinny or Weaver rail. It does not fit the CompM4 or CompM4s. The lever is long and provides good leverage, a wide finger loop allowing operation with gloved hands. The lever is protected from accidental operation and is adjustable to accommodate poorly dimensioned and worn rails. 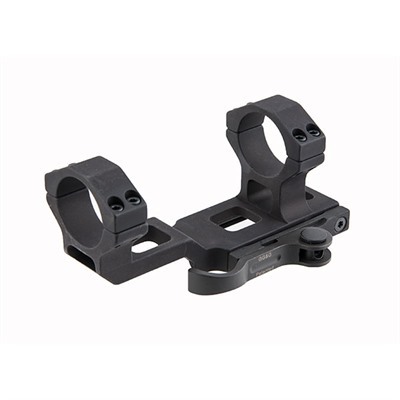 The Accucam cantilever comp mount puts the sight 2″ forwards to allow for rear mounted magnifiers and night vision systems. 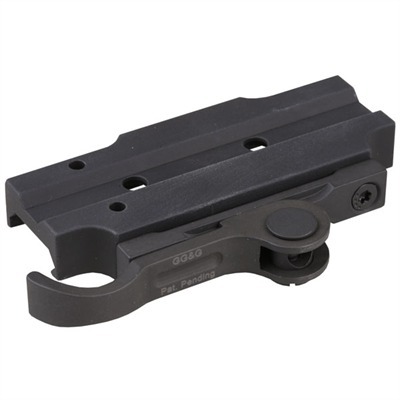 Six heavy duty Allen bolts clamp the sight firmly in place against recoil and vibration. An insulated battery compartment is provided on the left side of the mounting ring. 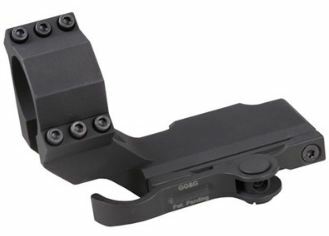 As with other all American made GG&G products, the Accucam Comp mount is precision machined from 6061 T-6 aluminum, type III black anodized and fitted with phosphated steel lever and fixings. Dimenions – 4” O.A.L. x 1-3⁄8″ (3.5cm) wide. 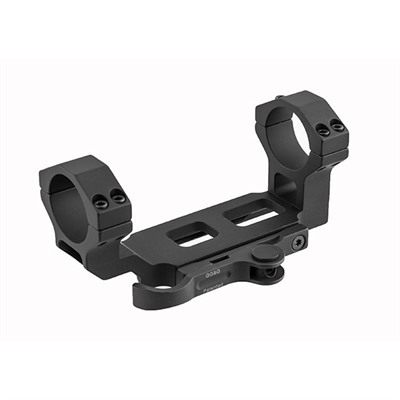 Check the price of the GG&G Accucam Aimpoint Cantilever Mount at Brownells, a name you can trust. Full disclosure. If you purchase from Brownells I will receive a small commission. This will help keep this site online and will not affect your purchase price. This entry was posted in Aimpoint and tagged Aimpoint, GG&G. Bookmark the permalink.